Thinking about what to do to escape the winter blues? Well this may be the year to head to Malaysia, one of South East Asia’s favourite holiday destinations – and a country where 'something for everyone' is more of a daily itinerary than a promise. Malaysians love a celebration and with 2015 officially designated as Malaysia’s Official Year of Festivals, it is definitely shaping up as perfect time to visit. The yearlong program known as MyFEST delivers a diverse mix of 50 festivals and events taking place right across the country throughout the year, which are sure to tempt every taste and interest. Here are a couple of the best taking place over the winter months. 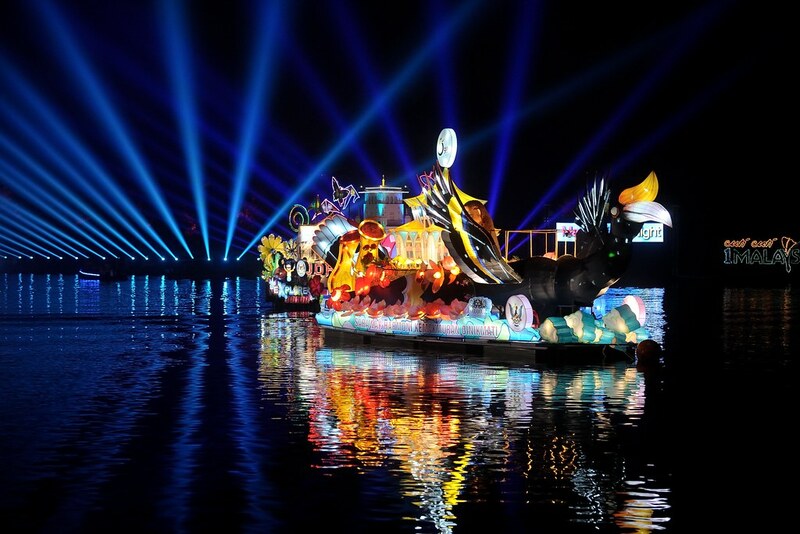 One of the most spectacular events taking place during MyFEST celebrations, is Putrajaya’s Magic of the Night Festival held at Marina Putrajaya from 28 – 31 May 2015, with its nighttime Lighted Boat Parade showcasing brightly and beautifully decorated boats. Amongst the huge flotilla are boats representing each Malaysian State, celebrating the images, attractions and iconic landmarks unique to their region including hibiscus, hornbills, orangutans and proboscis monkeys. Unforgettable! Also in Putrajaya, the Royal FLORIA Putrajaya Flower and Garden Festival runs for for nine days from 30 May 2015. After the hustle and bustle of Kuala Lumpur, Putrajaya just 30 kilometres away, is something of a revelation. Best known as Malaysia’s federal administrative capital and the home to the Malaysian Formula 1 Grand Prix, ask anyone who's ever spent time there, and they will quickly tell you that it is also one of the most country’s most picturesque cities. Wide, open roads, lush botanic gardens and verdant parklands are among the many factors that make it well worth a visit at any time of year. And the annual flower show is now an iconic event for city, attracting more than million visitors each year. Featuring over 80 landscaped garden plots, with amazing garden displays and attractions from right around the world, including more than 100,000 bougainvillea plants , this is definitely a not to be missed event for green thumbs. In August 2015, thousands of music lovers will travel across the globe on a pilgrimage to Sarawak on the island of Borneo for the annual Rainforest World Music Festival. Consistently voted amongst the world’s top 25 international festivals, this 3-day event is a celebration of music workshops and action-packed stage shows, attracting some of best international world music performers. But the event is as much a cultural display as a musical one. Featuring traditional instruments from around the globe, Sarawak’s traditional lute, the Sape takes centre stage. Synonymous with Festival, Sapes are typically carved from a single bole of wood, with many of these extraordinary instruments reaching over a metre in length – and this event is one of most mesmerizing places to listen to them against the dramatic backdrop of Borneo Rainforest. So if these aren’t reasons enough to get you hyped and ready to visit Putrajaya, we don’t know what is. So mark your calendars and prepare to have a blast at Malaysia’s garden city in 2015 Malaysia Year!